Each child is unique and learns in different ways and for that we celebrate! As a result, information delivered during your child’s lessons is designed specifically for your child. There is no set schedule for achievement- our goals are to help your child feel comfortable around the water and most importantly, to be safe. 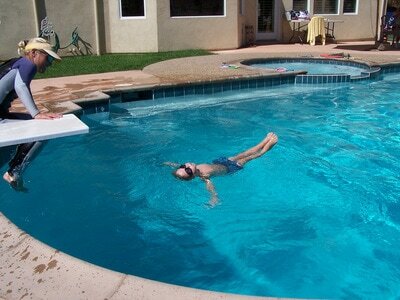 Your child will improve their swimming by -learning proper technique and survival essentials. I am a stern yet kind teacher who believes in positive reinforcement. I will always tell your child when they’ve done something good and will also correct concerns delicately. For a video that shows our methods, click here and for our "spouting survivor," click ﻿here﻿﻿! Lessons are taught in a one-on-one format in ½-hour increments with lessons taught all in a row. Weekends are optional. On average, children 8 & under require 10 lessons to fully grasp the tasks at hand and children, ages 9 & older require 5 lessons. Group lessons are normally unavailable and, are not recommended. 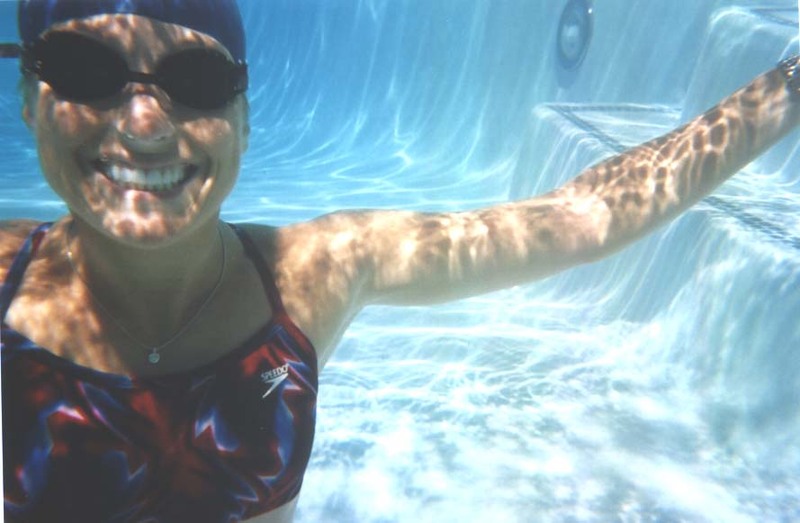 Equipment: The Speedo Sprint goggle is preferred. 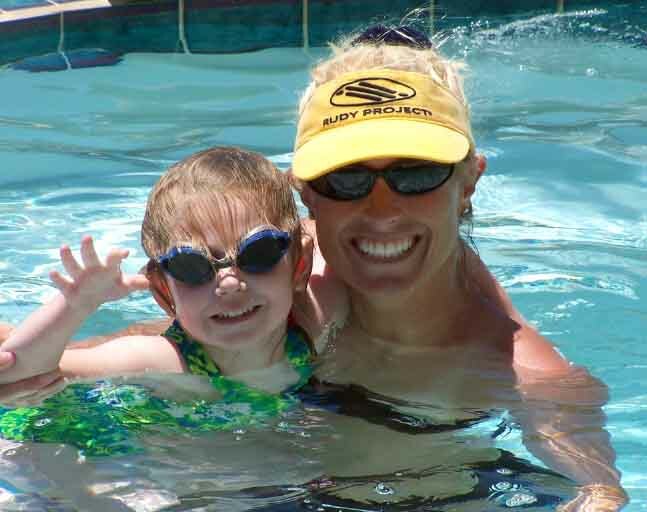 Swim caps are required for children with hair longer than a buzz-cut. 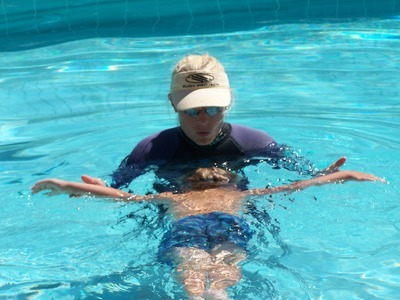 Child Safety Class: If requested, one or two days of a child’s session may be devoted to child safety around the pool. I will show the students how to fall into the pool with their swimsuit and clothes on and how to remove their clothes to use them as floating devices. For toddlers, we practice with towels. They love it! 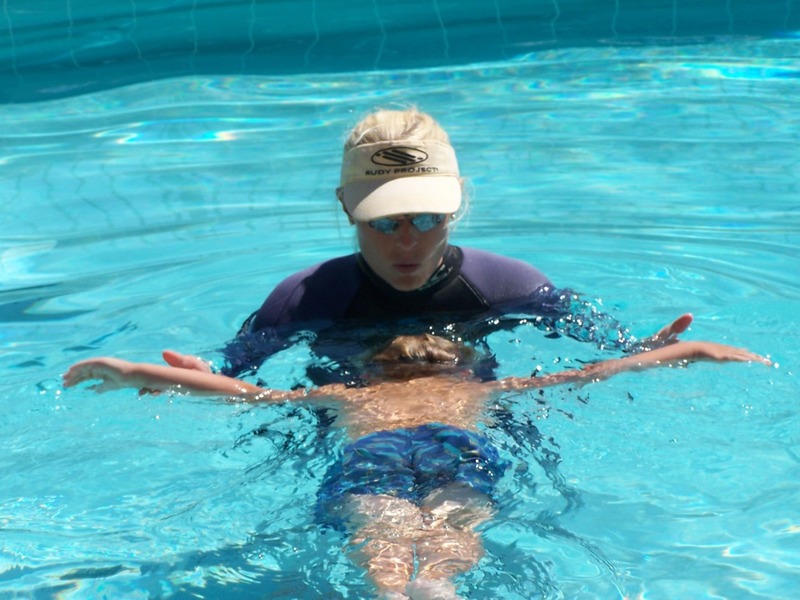 Click here for our awesome swim lesson testimonials!